With the Surface Pro 2, Microsoft isn't just trying to dominate the tablet market. It's hoping to replace the PC market. 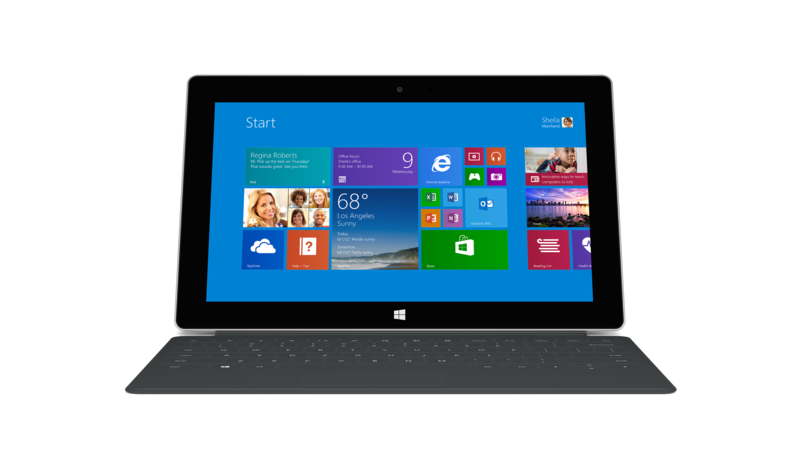 The next-generation Surface by itself is just a tablet. But when you pair it with its new Power Cover, suddenly you have a notebook PC. 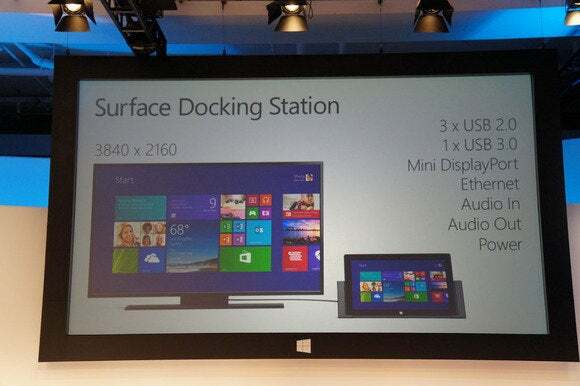 And when it’s docked in the Surface 2 Docking Station, suddenly it could emerge as a replacement for a desktop PC. Why? Futurists have been talking about modular computing for several years, and the Surface 2 may be the epitome of its evolution. Microsoft launched the Surface 2 and Surface Pro 2 last week in New York, upgrading its tablets with Intel’s fourth-generation Core (Haswell) chip. That change increased the Pro version’s performance by 9 percent, according to PCWorld’s preliminary benchmark testing. Microsoft executives say such results put the Surface Pro 2 on a par with today’s most powerful laptops—but again, within a tablet form factor. And the Surface 2 is priced at $449, $50 less than its predecessor. But it’s the Surface Pro 2’s peripherals where Microsoft seems to be setting the pace. The first-generation Surface debuted with the option of either the Touch Cover or the Type Cover—well-designed keyboards, but keyboards nevertheless. With the Surface Pro 2’s peripherals, Microsoft has added options for extended battery life and multimonitor support, wireless options, a car charger, and something a little crazy: the Surface Remix, what Microsoft calls the first of a series of “blades” that will turn the Surface 2 into a purpose-built tool. The Remix, for example, was specifically designed as a DJ’s assistant for mixing music on the fly. Whether you buy into it or not, Microsoft’s strategy here is intriguing. Tablets have become the must-have computing gizmo, although sales have recently cooled a bit, probably due to the lack of a compelling reason to replace them. PC sales are continuing to decline. 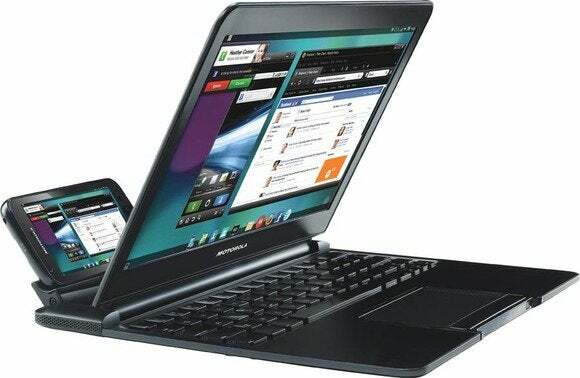 Microsoft’s Windows 8 operating system is straddling the line between PC and tablet with its dual interfaces. And now here comes the Surface 2, offering even more overlap with the personal computer. Add to that the Power Cover and the Docking Station, which can replace the other aging computer devices that a user has on his or her desk. It’s a strategy that fits in neatly with Microsoft’s vision for productive PCs. And it’s a vision that Microsoft executives articulated last week, even if the new hardware overshadowed it all. Microsoft’s Surface Docking Station essentially transforms the tablet into a workstation PC. And that one product is the Surface 2. The PC is itself a fine example of modular computing, which is defined as a series of replaceable parts that use standard interfaces. Graphics cards fit into PCI Express slots, power supplies use consistent pinouts, and hard drives use a SATA connection of some sort. The IBM MetaPad, in a variety of forms. The MetaPad slid into the back of a notebook sleeve. 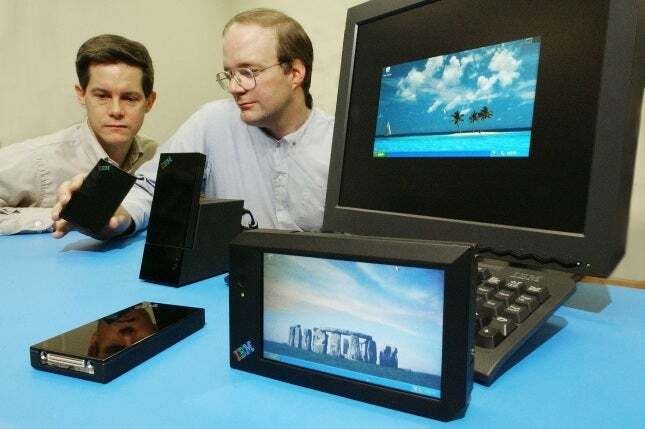 IBM called the MetaPad a research project. Eventually it licensed the design to Antelope Computing, which tried and failed to make its version of the MetaPad a success. Other attempts followed. In 2011, Motorola launched the Atrix, a relatively impressive smartphone in its own right, but with a twist: Users could insert it into a notebook “dock” that turned the smartphone into a small portable computer. Unfortunately, the user experience was frustratingly slow, hampered as much by the hardware as by AT&T’s HSDPA connection. But the fatal blow was struck by Motorola’s sales department, as the price tag for the dock alone was $500. Pricing the Atrix and its dock hundreds of dollars higher than a more competent netbook or laptop ultimately doomed the experiment. For its part, Asus has moved to its third generation of modular computers—but you’ve likely never seen them. In 2012, Asus launched the PadFone, which could dock into the rear of a PadFone Station tablet. That, in turn, could slot into a battery-powered, 24W dock, complete with a keyboard and an SD Card slot. Unfortunately, the PadFone doesn’t support any of the LTE frequency bands that U.S. carriers use. Other modular ideas, such as tucking an MP3 player inside a laptop, have never gone beyond the design stage. Both the first- and second-generation Surface tablets can work with detachable keyboards, namely the Touch Cover and Type Cover. But the real differentiation comes from the Surface 2’s two new accessories, the Power Cover and the Docking Station. By itself, the Power Cover doesn’t seem all that special. For $200, the Power Cover combines a 30-watt-hour battery and a keyboard, roughly doubling the battery life of the Surface Pro, Surface 2, or Surface Pro 2. It isn’t backlit, a feature of the other covers. But while the Surface Pro 2 may last just 5 hours or so on a charge—not quite enough for a cross-country flight—the Power Cover can provide enough juice for a flight to Taiwan, or a weekend of occasional use. Meanwhile, the $200 Docking Station turns the Surface Pro 2 into a desktop machine. It can power two separate monitors for a total display resolution of 3840 by 2160 pixels, and it includes one USB 3.0 port, three USB 2.0 ports, a Mini DisplayPort connector, ethernet, and audio connections. And if users prefer, they can leave the Surface Pro 2 attached to the Touch Cover or Type Cover while using the Docking Station. Panay, who spent most of his presentation breathlessly touting the next-generation Surface’s capabilities, was justifiably excited about what the Docking Station adds. Panay also showed off the Surface Remix and seemed open to customer feedback, soliciting ideas on a Reddit “Ask Me Anything” thread. Ideas so far have included optimized gaming peripherals, and perhaps a cover doubling as an electronic-ink reader. Will Microsoft design and sell its own blades? Possibly. But Liteye Systems’ Geyer, who has been down this road before, says that creating an ecosystem is the best idea. “Microsoft, being as big and visible as they are, can probably cover the accessories themselves, but I would still think that seeding to third parties would be a fast lane to [adoption] in a large number of market niches,” he says. For its part, Microsoft is open to the idea, executives say, but they don’t have anything in the works to announce as yet. It would be a stretch to imply that the new Docking Station and Power Cover will be the spark that launches Surface sales into the stratosphere. After all, Microsoft has already written off more than $900 million after overpricing the Surface. Dell, the last holdout to build tablets around Windows RT, abandoned the platform in its latest lineup, leaving the Surface 2 as the only tablet on the market purpose-built around RT. Slowly, however, technological change effects cultural change. These days, we can’t imagine walking around without a mobile phone, or not being able to fast-forward through a commercial on a DVR. But both of those innovations phased in slowly. We know that the growth of tablets, phablets, and large smartphones shows that users prefer larger screens. I’m less confident that they enjoy drumming their fingers on glass, however. Even if the Surface Pro 2 stumbles and falls, though, it could accomplish one momentous change: making a tablet, rather than a notebook or phone, the focus of our computing lives. Today, we slide our work laptops into docking stations, or we simply connect them to monitors. But in a few years, your new “notebook” may end up being a single sheet of glass. Update: In several places in the original story, "Surface 2" was used to imply the next-generation Surface, both the Surface Pro 2 and Surface 2. Since the Power Cover only works with the Surface Pro 2, this generalization introduced factual errors. The story has been updated to correct those inconsistencies.